“A city like New York draws a huge amount of interest. James English, the General Manager of new franchise Rugby United New York, immediately references the city’s longest rivalry between Old Blues and New York Athletic Club with both sides having produced some of USA Rugby’s biggest names. Now New York is ready to write its next rugby chapter. RUNY will be coached by Athletic Club legend Mike Tolkin, who led the US national team at the 2015 Rugby World Cup. The squad will also be laced with athletes from both teams, with the players putting aside their past differences. “We want players that represent what New York is about. It’s not an easy place to live, it’s a fantastic place to visit.” English said with a chuckle. “It’s a hustle, always moving, always busy and I think you need to be a certain type of personality to be able to put up with that hustle. Two players that RUNY think can put up with that hustle are Leinster’s Cathal Marsh and Northampton legend, Ben Foden. “You look at people like Ben and Cathal with a huge amount of experience in professional rugby environments,” English added. English is hoping to create a rugby club that reflects New York’s culture. The city does have strong links to Ireland and the rest of the UK and with English having coached in Dublin plus the arrivals of Foden and Marsh, they all seem to fit the bill perfectly. However, English was keen to stress that RUNY wouldn’t be a spending club that just brings in big names: “The majority of our team will have a really distinctive New York, American backbone with a heavy Irish twist there. English has a lot on his plate as General Manager at the franchise. The club’s catchment area spreads far beyond the state of New York, with players in New Jersey and Connecticut. With Gary Gold having led the Eagles to an historic victory over Scotland in the June tests and the Rugby World Cup Sevens being held in San Francisco, there has never been more interest in the States for rugby. What English made clear was that, the growth of the game was the most important thing and RUNY want to play their part in that by understanding their role in the community. “We see our role as a professional rugby team in the region to help develop and grow the game, to develop programs, work with coaches, work with players and do our part to try and inspire the next generation,” said English. RUNY are the first professional rugby outfit on the USA’s East Coast. With rugby having been played at Harvard since the 1870s, it is difficult to understand why it has taken this long. 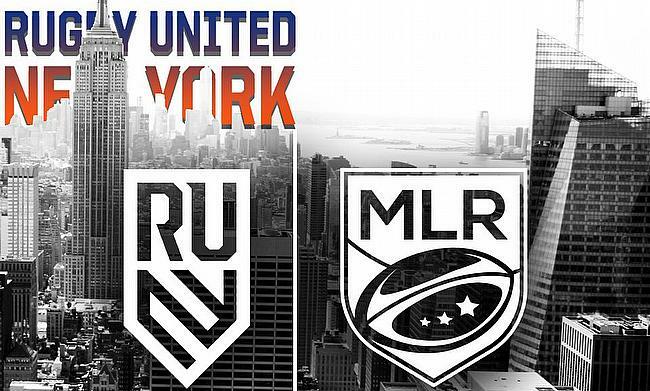 Playing two exhibition games as RUNY last season, the franchise wanted to see what the reaction would be to a New York-based MLR side. “There’s been huge interest in the community, claimed English. There are over 800,000 ex-patriots from Tier One nations in Manhattan alone. We’ve had a huge amount of interest, not just in New York and the Tristate area, but abroad as well. With the MLR’s astounding popularity in its inaugural season, RUNY seem to have a long-term plan and an objective that they have been developing for some time. The franchise sees the bigger picture which the development of the game in America.